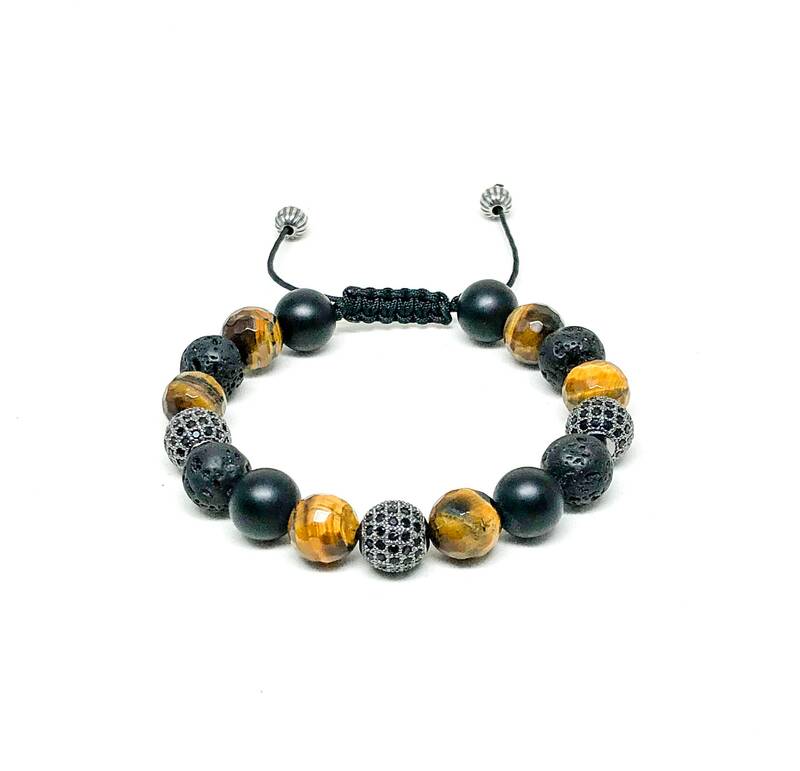 Men's beaded bracelet with Tiger Eye, Matte Onyx, Lava stones, CZ and 925 Silver beads. 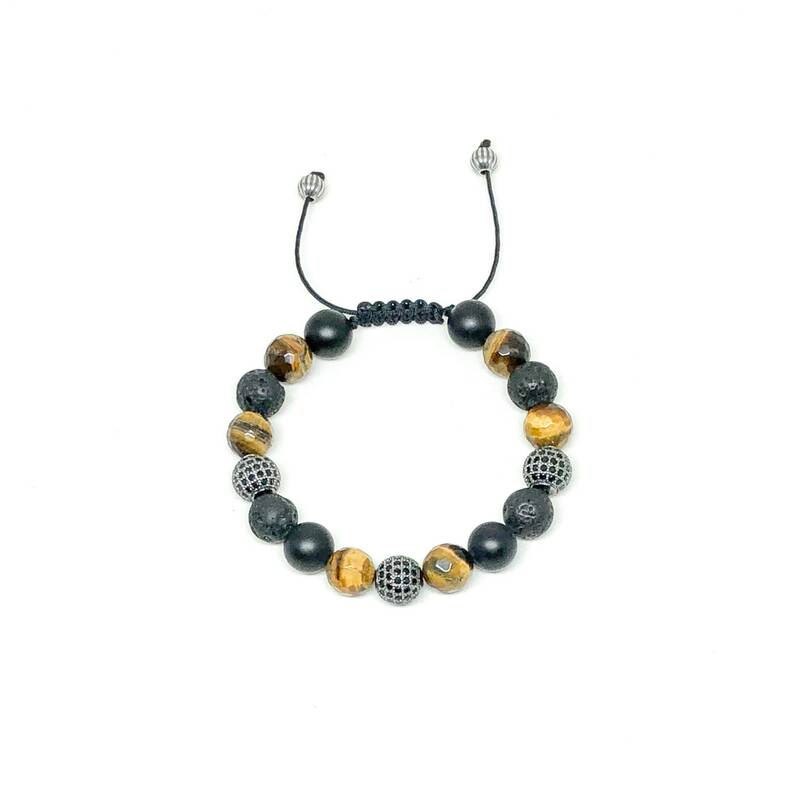 Beautiful and gorgeous 10mm Tiger Eye (Faceted) x 3 10mm Cubic Zirconia for the perfect touch. 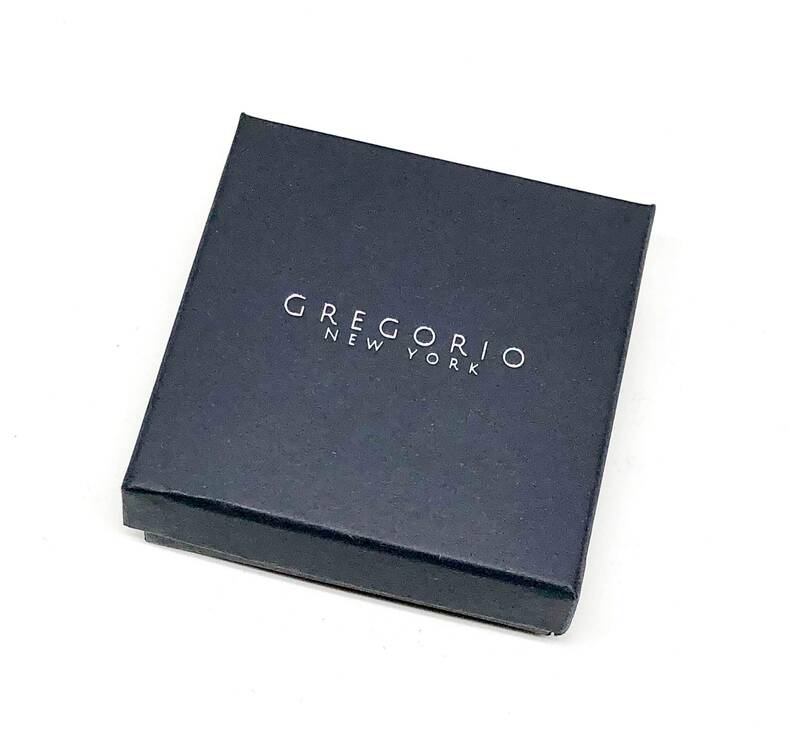 The cord is a 1mm Waxed Cord perfect for any size. Adjustable bracelet that would make your wrists look awesome. Lava Stones: Lava Stone Spiritual Meaning – Lava stone is a very popular healing stone. Therefore, many people use it for healing purposes. Lava stone is able to heal not only emotional, but also spiritual issues. But this beautiful stone also has a powerful spLava Stone Spiritual Meaningiritual meaning. 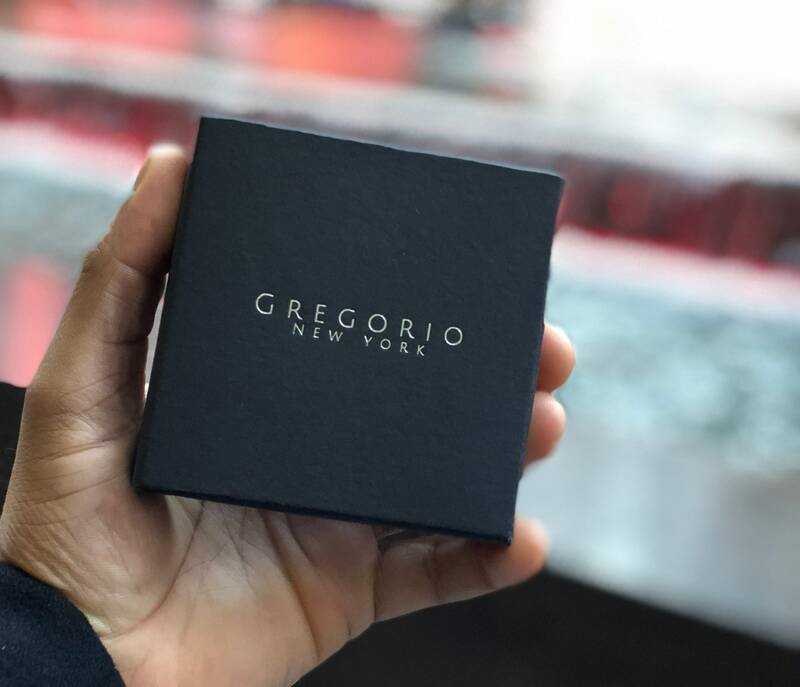 Lava stone has a very strong spiritual connection to the center of the Earth. Therefore, it resonates with the grounding energy of the earth. Which is a very importance vibration that we all need in spiritual practices. Grounding is the first thing one should do before meditating. It makes sure that you spirit will not wonder away. Therefore, Lava Stone has a strong spiritual meaning and purpose. And every spiritual person should use it daily. 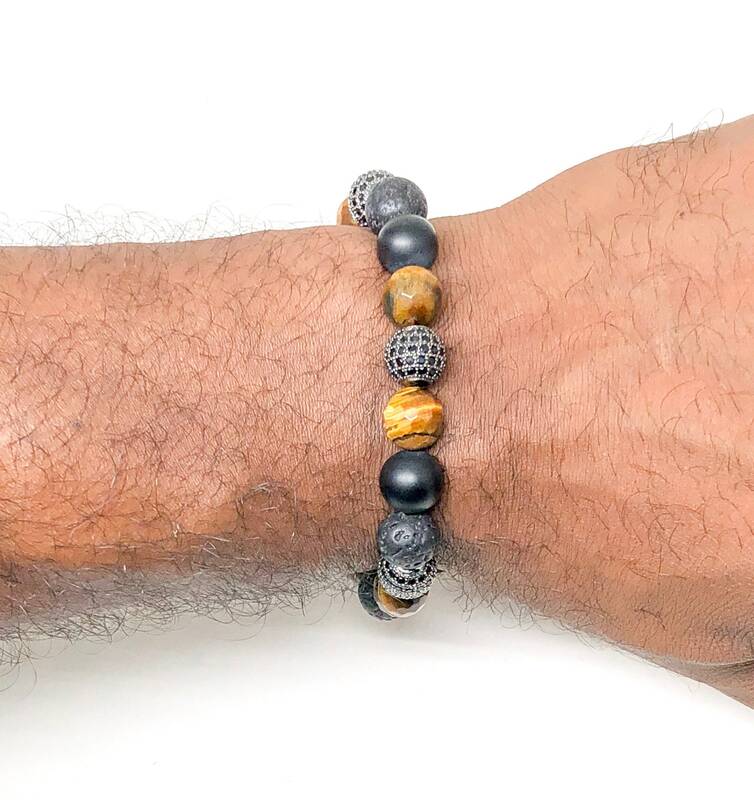 Lava stone also contains a powerful calming energy. Therefore, it calms and relaxes the mind and thoughts. It also brings balance to your emotions. It as a great stone for anxiety, fear and worry.